Having looked at a number of iPad-sized keyboards the last two years (Zaggmate, Logitech, Sena, ThinkGeek, Brando), we have come to the conclusion that they are just too small to be used for prolonged typing. We have also stated pretty emphatically that if someone was set on doing a lot of typing with the iPad, the keyboard they should get is the Apple wireless unit. We thought that was the end of the story, that we would never look at another iPad-sized keyboard again. 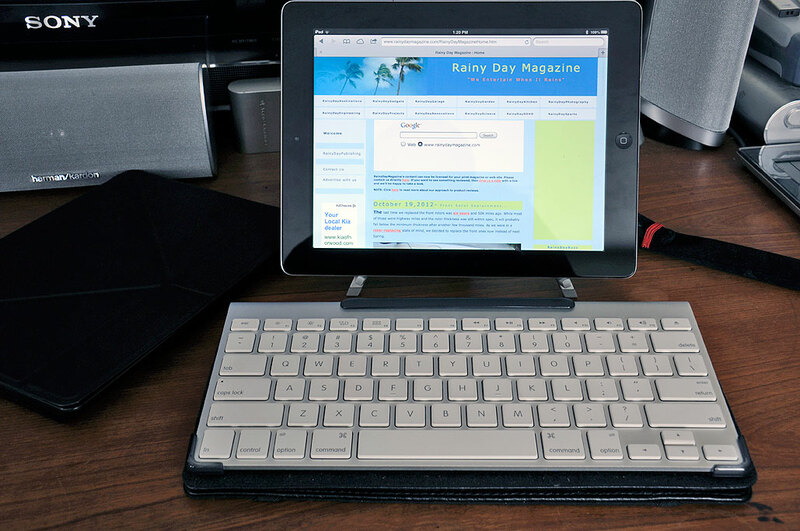 So why are we writing about yet another iPad-sized keyboard? The iPad is a lot of things, but a laptop it is not. However, that does not mean that users would not want to be able to do “laptop-y” tasks with it. One of those “laptop-y” task is typing. While the iPad does have a virtual keyboard for occassional typing, the problem with extended typing is that the “keyboard” takes up valuable screen space. As anyone who has to bang out an article knows, seeing more of said article on a screen is definitely a plus. Situations like the above is when an external keyboard would be desirable. With all of the keyboard cases we have looked at, the keyboard has always been front and center. No so with the i-Connex Combi case. The super-thin keyboard is hidden in the body of the case when not needed. In everyday use, the whole package is so slimthat you may even forget that it is there. The thin keyboard has a good key-feel. The scissor-action keys makes typing similar to that of a quality, full-size keyboard (minus the full-size). After using the i-Connex Combi for three weeks, we found that it may be one of the better cases we have seen. The texture has a nice feel and makes the case very comfortable to hold. All of the ports are protected, yet accessible. The battery life of the Bluetooth keyboard was phenomenal. We charged it once and it is still good three weeks later. The only gripe we have with the case, besides the perennial one about the small size, is that if you have oily fingers, they will leave marks on the case. The case covering is also kind of a magnet for fine powdery particles. 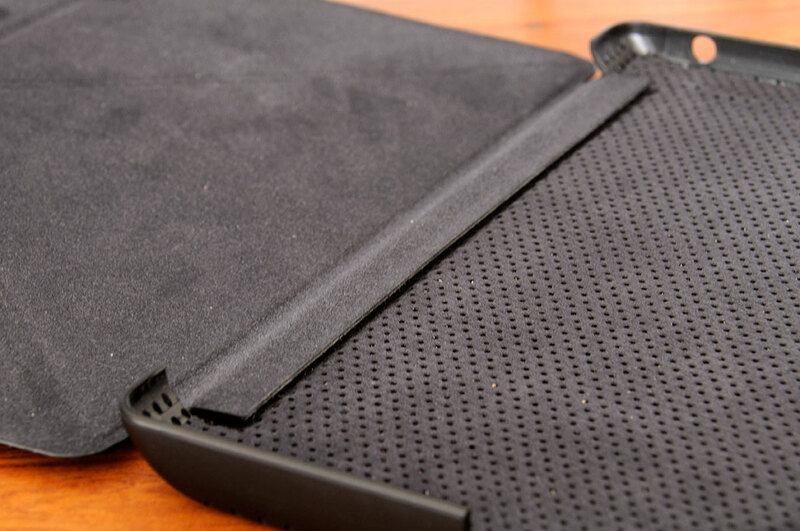 The flat textured material can be wiped down, but it is harder to clean than a smooth surface. This is not really a fault with the case, but more a reflection on the interns’ general sloppiness as human beings and the state of cleanliness around the office. Still, users obsessive about lint may want to consider that in their decision. So what is the bottom line? There is no substitute for proper ergonomics. If we had to do a lot of typing, we would still go with the Apple keyboard. However, those looking for a full-featured low-profile case with a keyboard for the iPad, this Freedom Combi case should definitely be at the top of the short list.